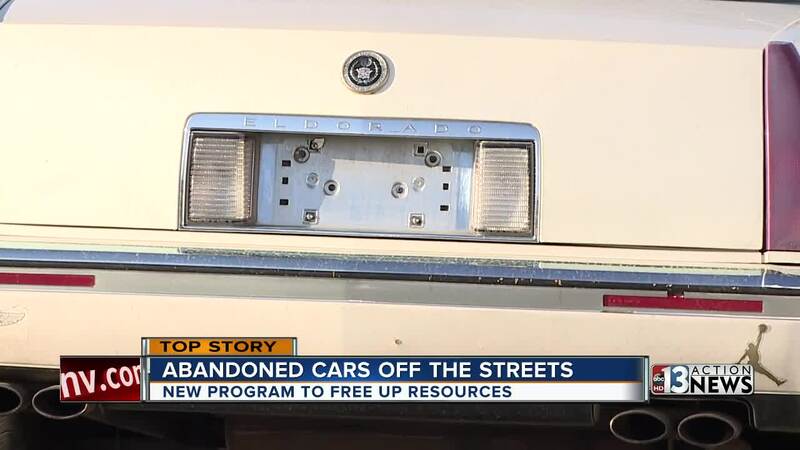 North Las Vegas has a brand new way to clean up the streets, specifically abandoned vehicles and cars up on cinder blocks. The city has a new parking services division. "This was part of the vision," said Delene Goldberg with North Las Vegas. "How do we make our neighborhoods even more beautiful? How do we increase values even more than they already are with economic development and this was one of the initiatives that came out of that." "It's cool if they get rid of them," said one man we talked to about the abandoned vehicles. "It will help it look better." The new parking services division just started this week. It's been a few years in the making. The team will be responsible for taking the calls about the eye sores and fixing the problem instead of code enforcement and police officers. "It will free up our police officers to go investigate other crime, build relationships in the community and do really great police work." The division is supposed to help beautify the city and help improve quality of life. It should reduce traffic accidents and pollution as well as enhance customer service. There will be less of a burden on the court system because parking citations will now be civil instead of criminal. There will be an education period while North Las Vegas residents get used to the new division. The team hopes to roll it out to residents in English and in Spanish over the next couple of weeks.